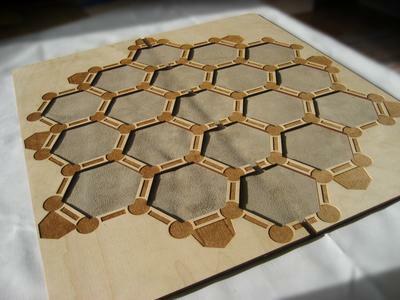 This is a custom playing surface for the Settlers of Catan board game. 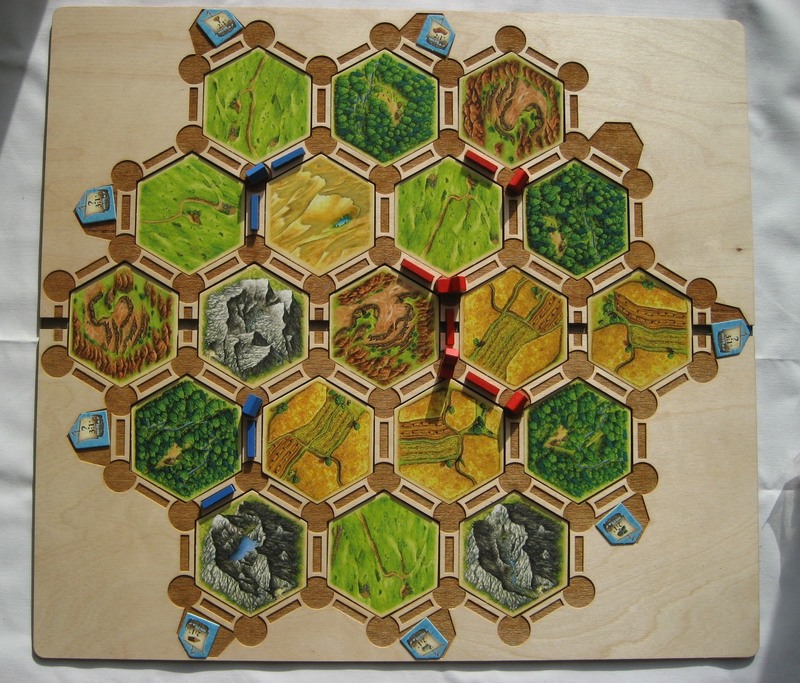 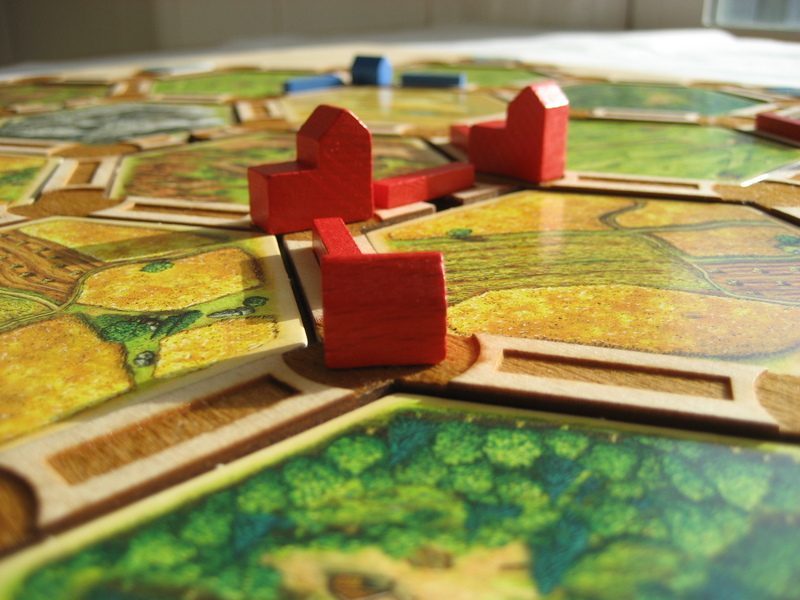 Click on any picture for a larger version The biggest frustration when playing Catan is the little cardboard tiles shift and move around while you play. 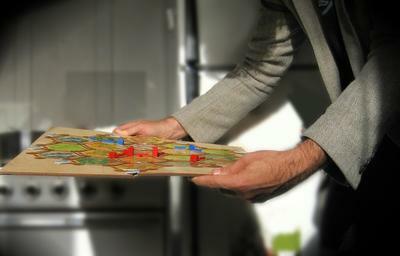 This frame keeps everything fixed in place. 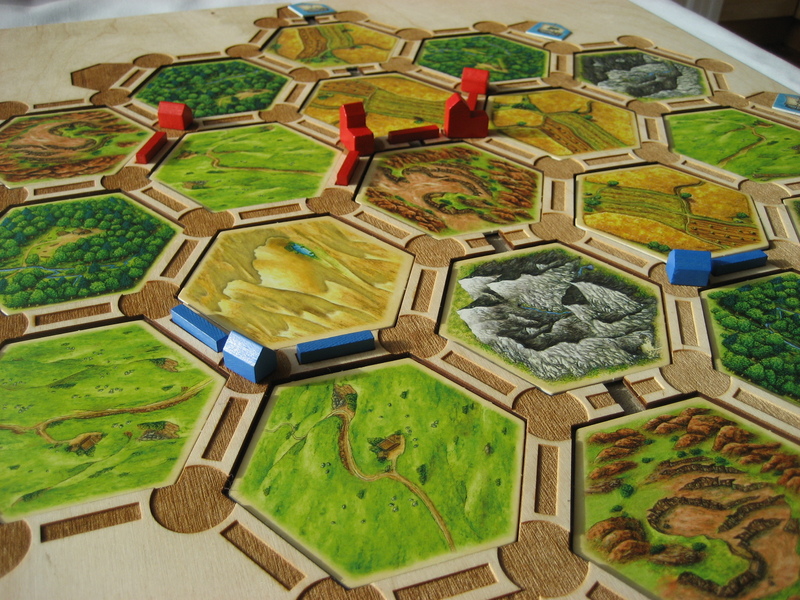 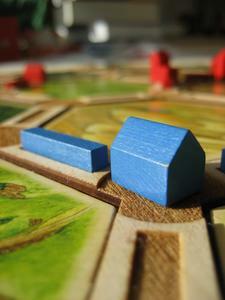 You can now take Catan outside and play it on a patio table, or even on the grass. 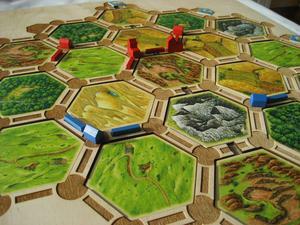 Limitations: this is designed for the 4 player version, not the 6 player expansion. 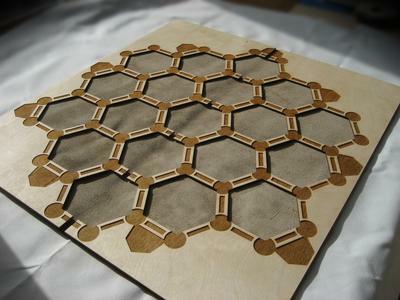 Please see my blog, Boardcrafting for more background information.